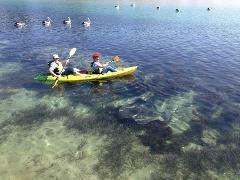 Hire single or double sit on top kayaks for exploring the peaceful estuary of the Tomaga river. Spot large and and small stingrays, crabs in the crystal clear waters and birdlife in the surrounding forest. Explore the headlands, beaches, forrest and coffee shops of the Mossy Point Broulee area. 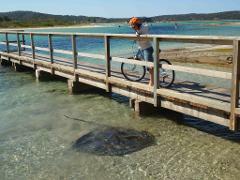 Hire Adult and Child bikes from the boatshed in Mossy Point. 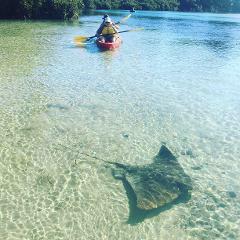 Hire a kayak on the crystal clear waters of the Tomaga River, spot stingray, birds and fish and you float through the mangroves. You can rent bikes for longer periods than 1 day. This can be handy if you like to explore further and more often or enjoy your break with the flexibility to ride to the local cafe's each morning or afternoon. Hire Adult or Child PFD's, Paddles. Dry Bags for your adventure.